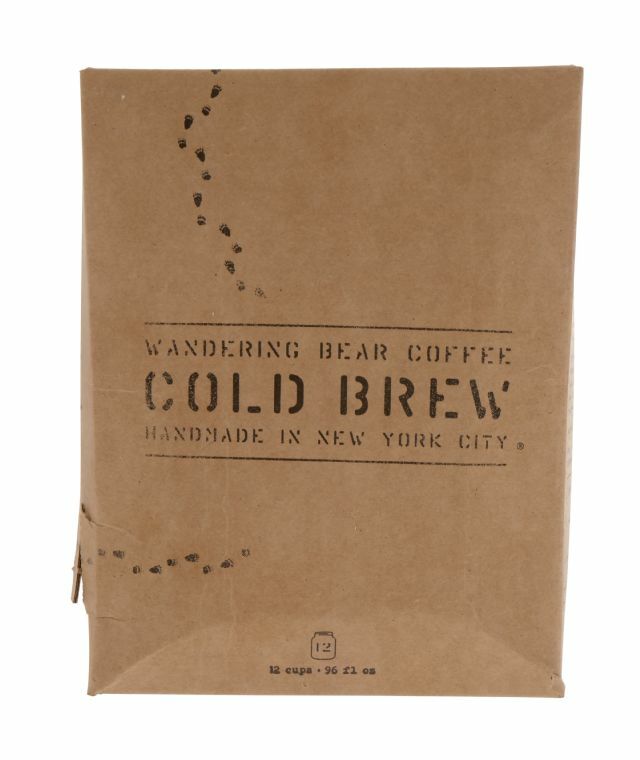 Based in New York City, Wandering Bear Cold Brew is a blend of freshly roasted 100 percent Arabica coffee and cold-filtered water. Packaged in a 96 oz. 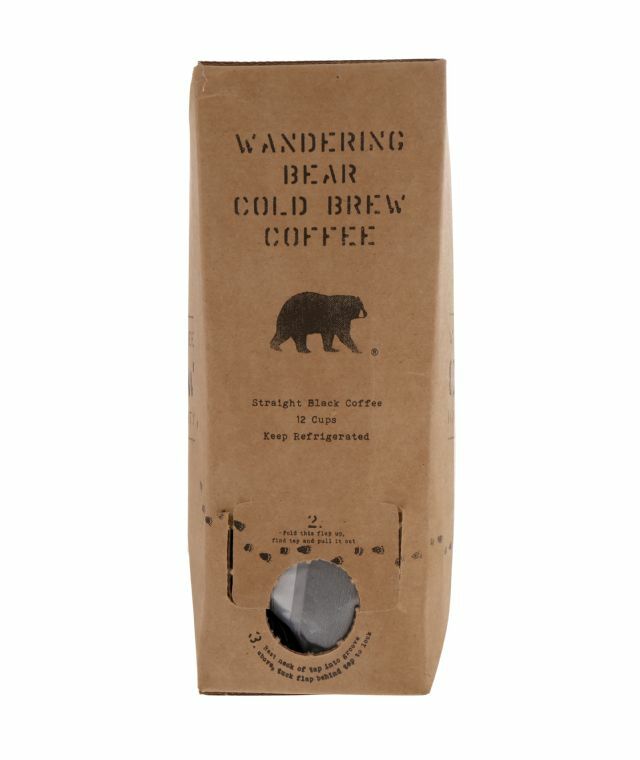 bag-in-box format, Wandering Bear targets a niche (resealable multi-serve), that is served by few, if any, cold brew coffee brands. From a taste perspective, this product is bold and strong, but smooth (rather than bitter), in its finish. This is exactly what we’ve come to expect from good quality cold brew coffee. 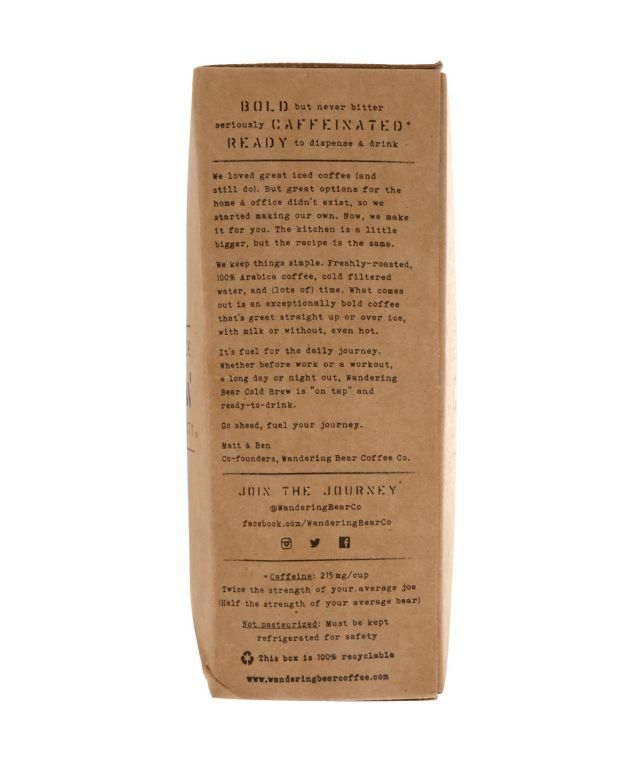 Comparing it to other cold brew coffee products that we’ve sampled, this one can definitely hold its own, although we'd be hard pressed to say that it's better than what's already out there. That being said, packaging is ultimately what sets this product apart and is the brand's key point of differentiation. Using a flex tap dispenser, the product stays fresh for a month once it has been been opened. 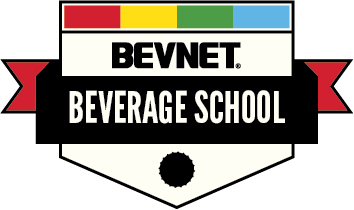 This makes the product a great choice for the home or office consumer as well as small volume cafes or other places where a multi-serve product is what is needed. 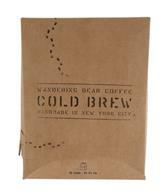 As for the design of the package, it feels minimalist and artisanal. It uses unpainted cardboard as its backdrop and the graphics and lettering look as though they were stamped on the carton. 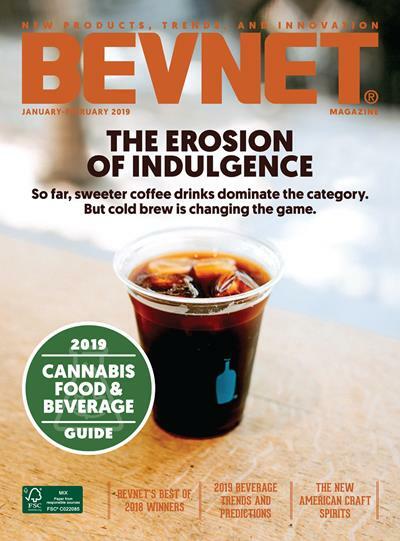 It is an eye-catching package -- among current cold brew coffee brands -- and it seems on-trend in terms of being minimalist in design. However, there's definitely room for improvement in terms of giving it some polish. Once you open the package, the cardboard starts to fall apart and the product has a somewhat sloppy looking appearance. Furthermore, giving the company's logo and brand name more prominent placement certainly wouldn't hurt either. Overall, we very much like the concept and the white space that Wandering Bear is going after. It’s definitely a solid foundation, and the coffee itself is quite enjoyable.